Music, hedonism and sustainability are regular fare at Wonderfruit, the annual music and lifestyle fest that takes place in Pattaya, Thailand. 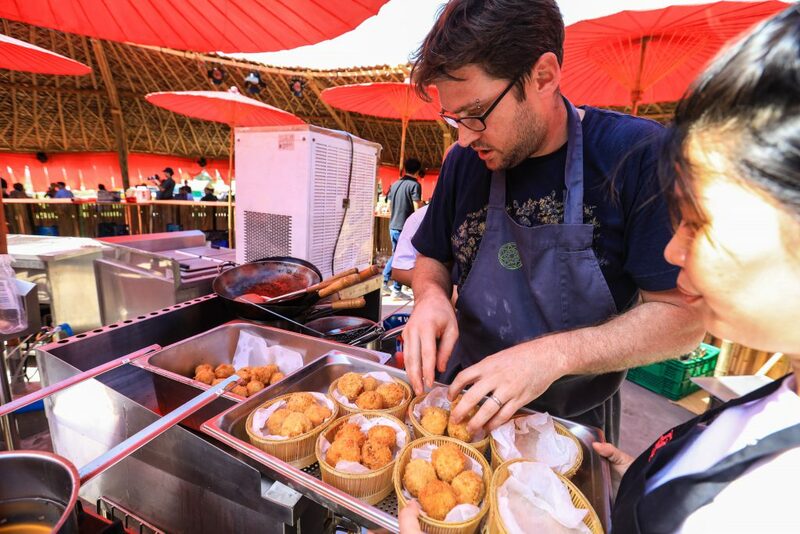 But organisers want to show they take fun seriously too, with the launch of invite-only business networking event Ethos at the fifth edition of the festival. 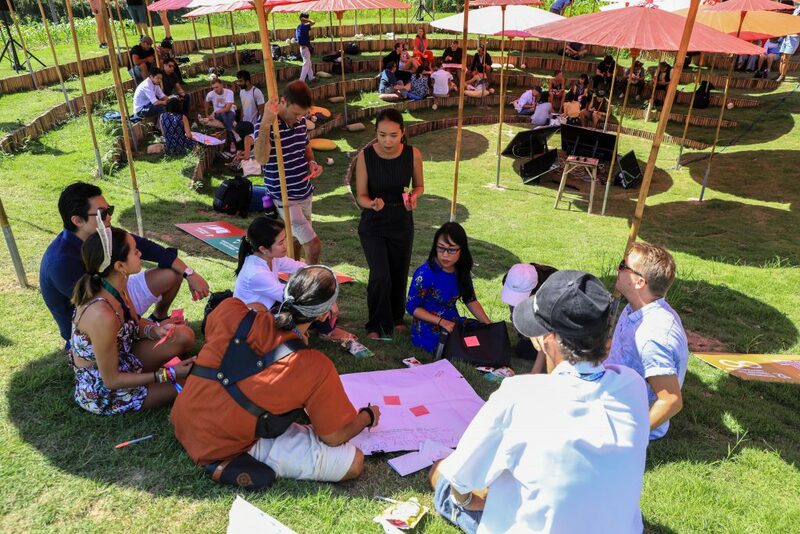 The half-day programme took place on 13 December, on a grassy terraced knoll where the event’s 50 attendees sat in the shade of red cotton umbrellas hand-made by local artisans, dubbed the Eco-Pavilion. Miniwiz founder and chief executive officer Arthur Huang addresses the audience. 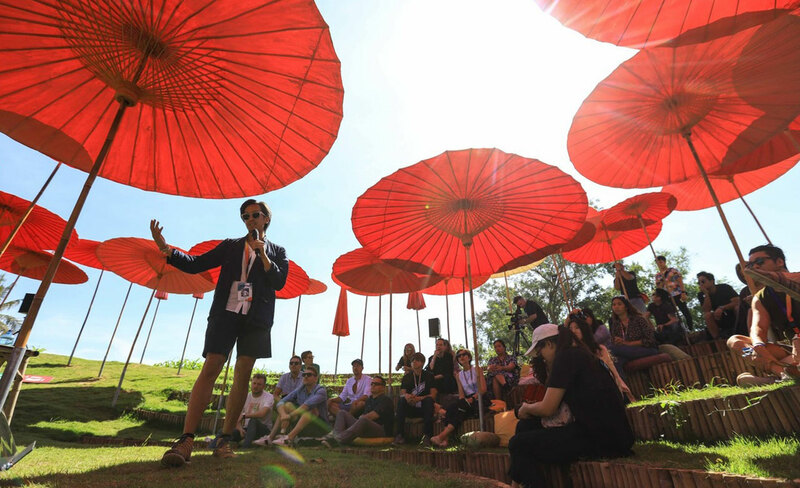 It featured presentations, a brainstorming session, a tour of the expansive festival grounds, and lunch by renowned chefs “Bo” Duangporn Songvisava and Dylan Jones from Michelin-starred restaurant Bo.lan and Netflix’s Chef’s Table fame. Speaking to Eco-Business, Ethos organiser Sara Soulier said the aim was to make Wonderfruit a rallying point for responsible business and organisations to come together to find solutions and drive positive environmental change in the face of the “gloom and doom cast in the state of the environment and world today”. The turn-out included representatives from festival sponsors including alcoholic beverage maker Singha, as well as corporates, artists, and representatives from non-governmental organisations and media, many of whom were attending Wonderfruit for the first time. While a business networking event and a festival seem like an unlikely match, Wonderfruit is the “one of the most natural places” to convene and discuss sustainability, said Soulier, who is the project lead for Plastic Pollution Coalition, a partner to Wonderfruit. A sustainable lunch being prepared by Bo.lan chef Dylan Jones (centre). Attendees at Ethos 2018 sit down for a brainstorming session. 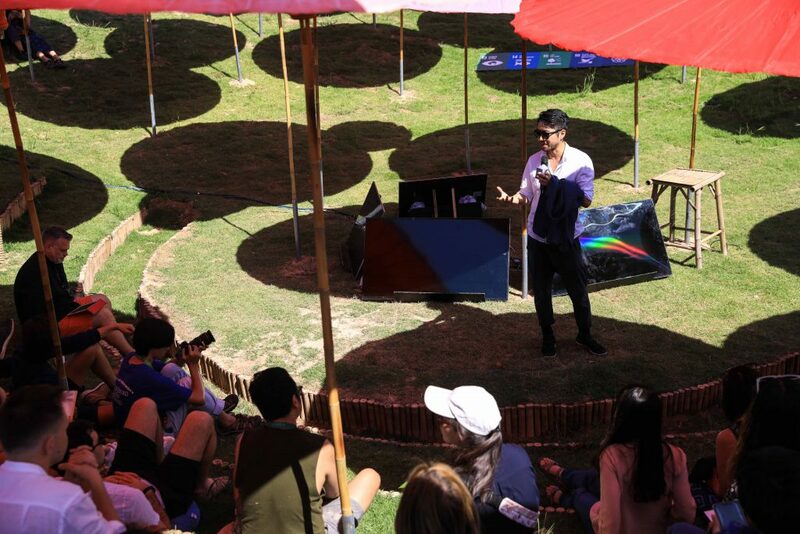 Attendees heard from Arthur Huang, a National Geographic Explorer and founder and chief executive officer of Miniwiz, a Taiwanese company that has made headlines for circular economy design and solutions, about his vision for recycling. The presentation by David Galipeau, chief impact officer, Asia Pacific, United Nations Development Program’s SDG Impact Finance, talked about the intersection of global megatrends and the UN’s Sustainable Development Goals (SDGs) and the impact for Thailand and Asia. Soulier said that Ethos marked the start of Wonderfruit’s engagement with the business community, and the team is in discussions to hold two more events in the year ahead. This includes workshops on the SDGs or strategic sessions to develop sustainable solutions that can be showcased at Ethos in 2019. 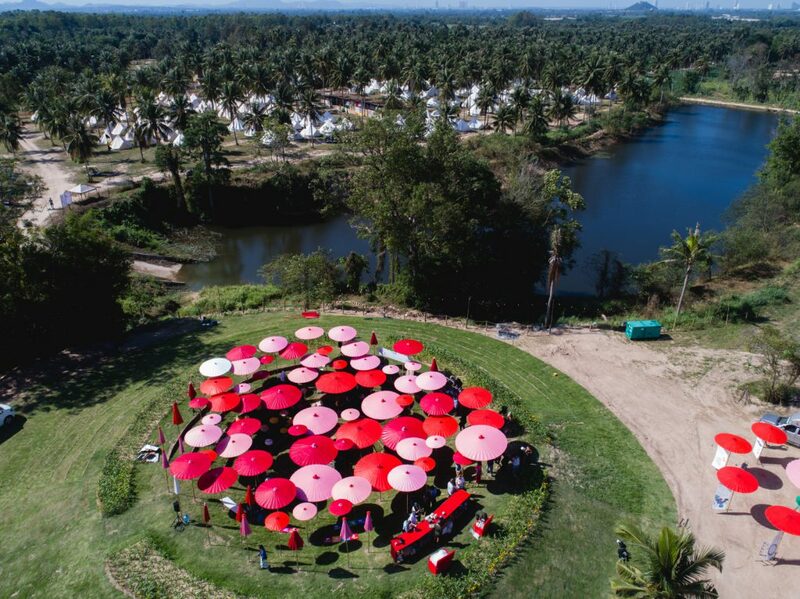 The Eco-Pavilion at Wonderfruit 2018, featuring striking red and pink umbrellas made by local artisans. Check out the original article here on Eco-Business.